It is rhubarb time at my house. Here is a recipe that my mom made for my siblings and me when I was a kid. 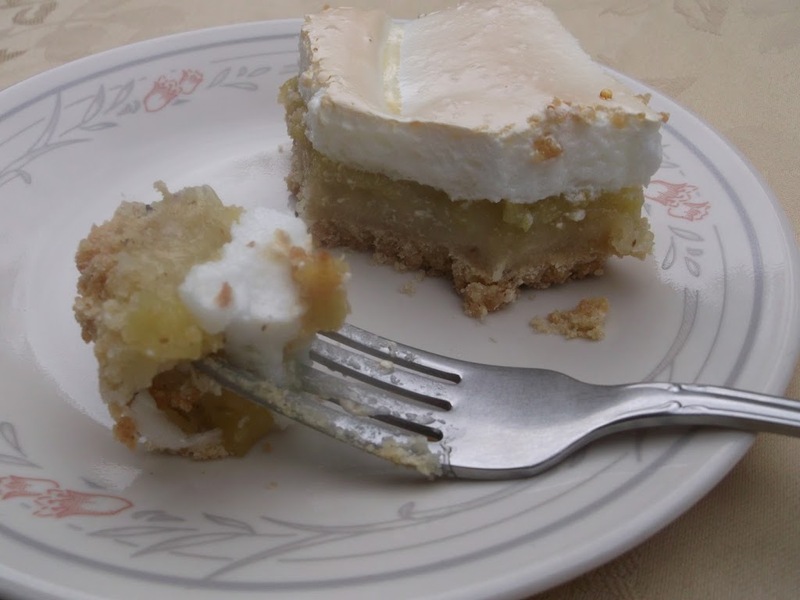 Every spring we would wait for the rhubarb to get big enough so we could pick some of it and have my mom make this amazing dessert. Now that I am grown, it is that way in my house, but not so much with the kids waiting for this dessert it is Mike who is waiting for the rhubarb to get big enough to make this dessert. I am not saying that the kids don’t like this recipe, it is just that my Mike loves this recipe. 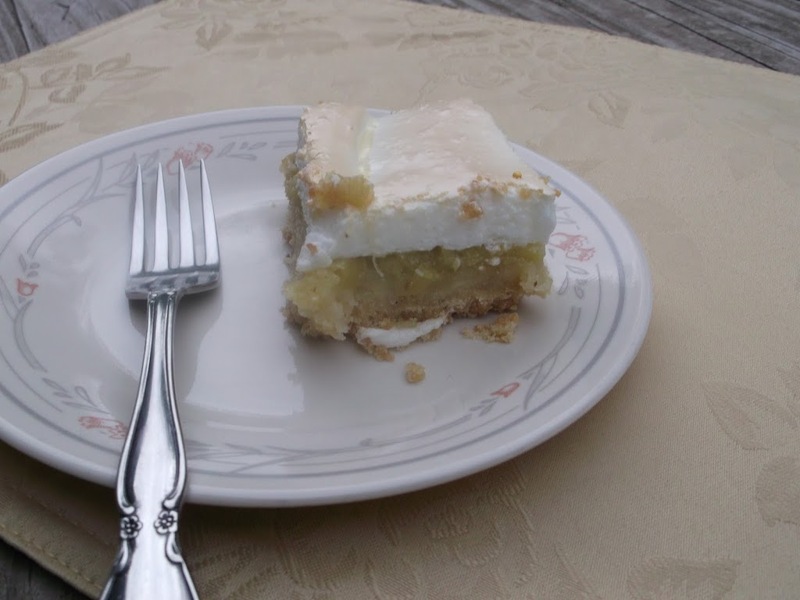 I am not sure exactly where this recipe came from, but I know that it has been made by mom for at least 50 years now. When a recipe has made it through that many years it has to be a good one. Right? I know that I will be passing this recipe on to my kids so the next generation can look forward to the rhubarb getting to be the right size to pick and make this dessert. If you like rhubarb I think that you will like this recipe. 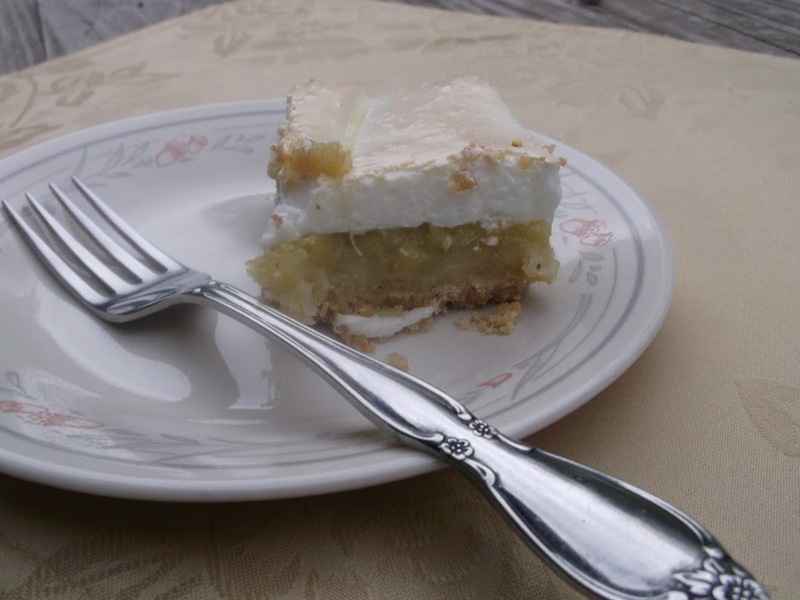 The tartness of the rhubarb combined with the sweetness of the meringue can’t be beat. Believe me when I say this recipe is a real winner! 2 egg yolks well beaten (save the whites for the meringue). While the crust is in the oven prepare the filling. In a large bowl add all ingredients and mix well. Pour on top of the baked crust. Return to the oven and bake about 30 to 45 minutes. In a medium bowl place egg whites and beat with an electric mixer. As you beat the egg whites gradually add the sugar beating until the egg whites are stiff. As you finish beating the egg white add the vanilla and beat until all is mix in. Place meringue on top of the hot filling and return to the oven and back until the meringue is golden brown about 10 or 15 minutes. Yum. It looks and sounds really delicious. It’s my first time over at you blog and you caught my eye with this cake! I love rhubarb but even more so my husband does! This looks delish! Have a great Mother’s Day! Thanks for this recipe and hope you have a wonderful week ahead! Your cake looks yummy! I just made a rhubarb cake for Mother’s Day. I’ll have to post it soon. Rhubarb is so good! My husband is pretty much the biggest rhubarb fan ever! He is going to LOVE this. Yum!